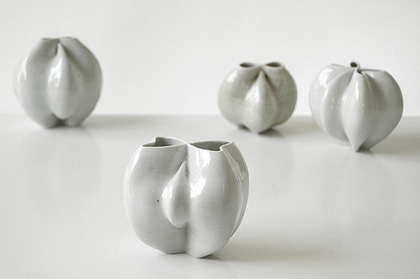 In the press release to the exhibition 'Formed' at the Lakeside Arts Center, University of Nottingham it has been described as ‘offering a rare opportunity to see a collection of diverse and stimulating ceramic work by 10 leading European makers’. 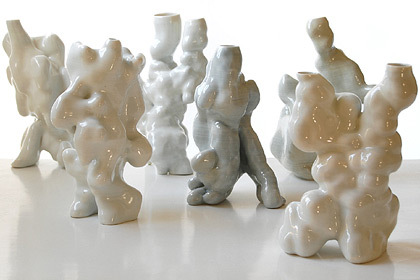 Curated by ceramic artist Susan Disley, the exhibition explores different approaches to sculptural form and reflects current developments in contemporary ceramic practice. 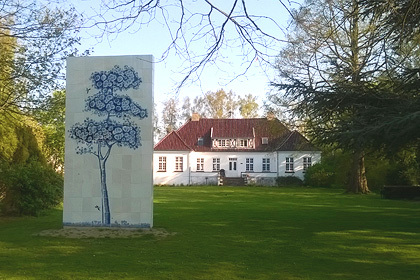 Artists include: Michael Cleff, Wouter Dam, Aneta Regel, Turi Heisselberg, Steen Ipsen, Gitte Jungersen, Martin Bodilson Kaldahl, Jonathan Keep, Lone Skov Madsen and Bene Skjottgaard. 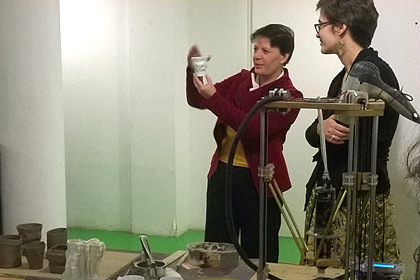 While in Brussels for the opening of my exhibition at Puls Gallery I was invited by ceramic professor Caroline Andrin to visit and give an artist talk/lecture at L’Ecole Nationale Superierure Des Arts Visuels, La Cambre. In a beautiful setting this school had a really good feel. I know the ceramic department as having a good reputation but was quite taken by just how cramped the department is and with not a lot of equipment. It reminded me of situation in South Africa years ago where people with little resources relied on their own creativity and produced better work or at least more interesting work for it. 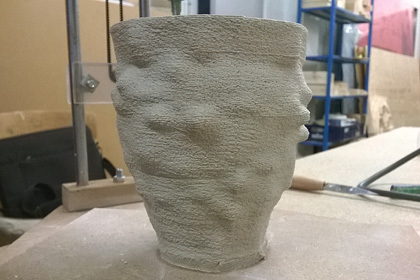 I was also very impressed by the thorough grounding given to students in clay and glaze materials and the effect of heat on these materials – the basis of ceramics. this was a two person show. 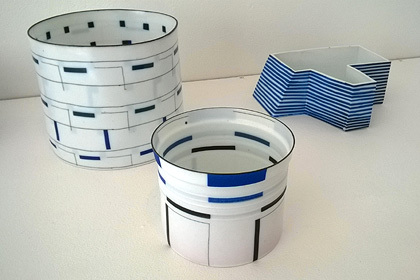 An interesting combination by Annetta Sloth, owner of Puls Contemporary Ceramics to show our work together. There was certainly a visual link to be made between the liner surface qualities to be found on both Pippins and my work but also a satisfying contrast between the vivid colour of Pippins’s pots and the more earthy restrained pallet that I make use of – if you can refer to the white of ice and porcelain as earthy. Certainly the new Ant Hill pieces I showed where I have graduated the clay colour when filling the print cartridges references the natural qualities of earth that I am looking for. 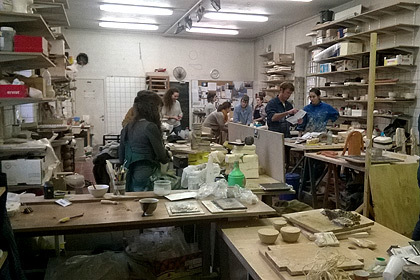 When Wendy Gers who curated the Taiwan Ceramic Biennial and lives in Northern France heard that I was exhibiting in Brussels she asked whether I would on my way do a Lecture and workshop at Ecole Superieure d’Art et de Design de Valenciennes where she is a lecturer. What was most satisfying during the workshop was that design lecturer Stephane Dwernicki handled all the software teaching and I could get on with the ceramic 3D printing. With this combination Stephane and I could each cover much more ground and the students certainly got a lot out of a relatively short time period. 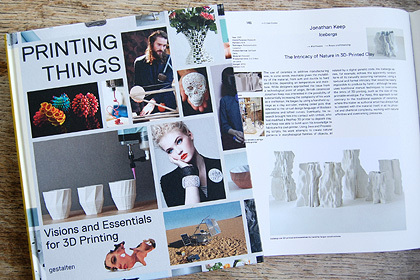 The UK based magazine of ceramic art and craft Ceramic Review asked me to do an article on my thoughts of ceramic 3D printing. 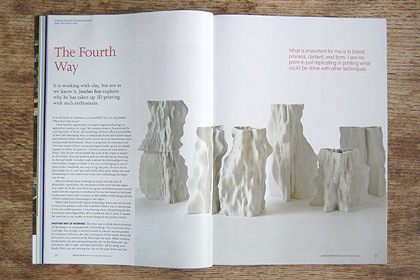 Entitled The Fourth Way I suggest that previously there had been three basic ways of giving form to clay. First handbuilding such as coil building and slab building. Secondly throwing on the pottery wheel and thirdly molding in its many forms. With printing there is now a fourth way. It is not molding as there are no moulds involved. There are elements of throwing but the process hugely extends the limitations of the revolving pot. It can be considered a kind of mechanical coiling but I don’t think you can call it handbuilding. 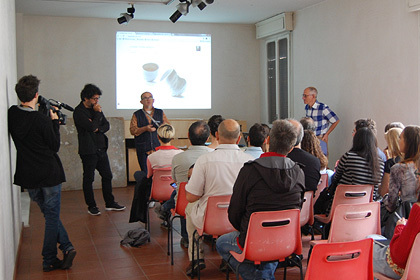 The Applied Arts Ulster group organizes a yearly program of lectures and workshops. 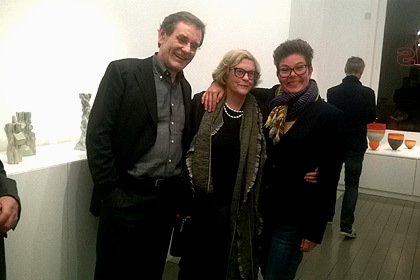 I was asked to kick off the 2014/15 season that includes ceramic artists Micheal Eden, Alison Britton and Martin Smith. During my weeklong visit I gave a master class at the Ulster University, Belfast in the School of Art and Contemporary Applied Arts. Then also a lecture at Ulster Museum and at North West Regional College, Londonderry. 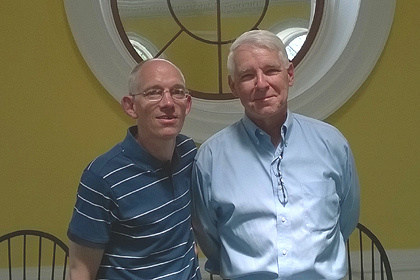 It was my first visit to Ireland and Clive Fiddis, senior lecturer in ceramics certainly made sure I fully experienced the hospitality of the Irish and I am very thankful to him. While some may see his department as a little old fashion - unfairly I would suggest as they add a JK ceramic 3D printer to their tool choices, it is one of the most complete departments I have seen to offer a good and comprehensive ceramic experience. Well equipped and offering students the opportunity of real hands on experience in almost every ceramic process and technique they are about to move into a new building. Invited by the think tank, Web For Interdisciplinary Research & Expertise (W.I.R.E) based in Zurich this project was in support of the exhibition that they had curated called The Future is Ours. 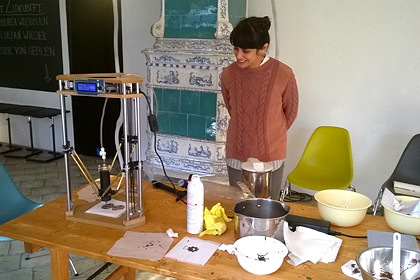 Within the exhibition was a program entitled Re-Thinking Food and part of this brief was to look at how 3D printers and cooking robots might influence the future. 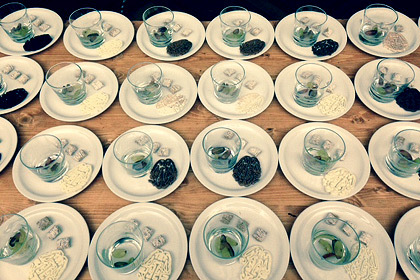 Through November and into December they stage a number of lunches and wanted to server 3D printed food. 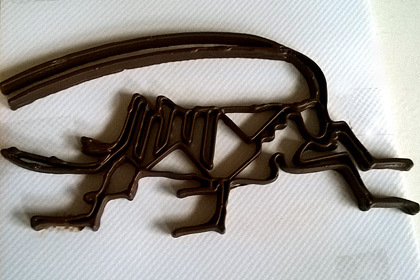 Partnering up with chocolate company Carma/Barry Callebaut I was asked to provide a chocolate 3D printer , to work with chocolatiers from the company and to enable the ongoing making of chocolate pieces for the lunches. Treated as very experimental we cover a range of chocolates setteling on Barry Callebauts decorating chocolate that is available in brown and white chocolate. The chocolate was kept warm in the printhead by surrounding the syringe with a warm water jacket - 3D printed in plastic. The chocolatiers had a freeze spray that helped fix or set the chocolate while we printed but what is really needed is for cold air to be constantly blown onto the print. In a brief time we did well but there is a lot more development to be done before printing tall complex pieces in chocolate. 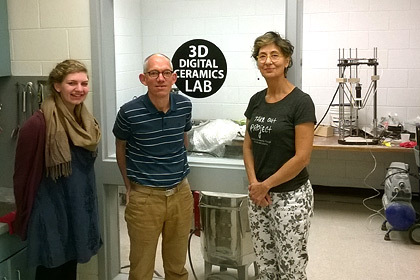 I spent a most enjoyable week in Tallahassee at the invitation of Holly Hanessian who runs the ceramics department at Florida State University. 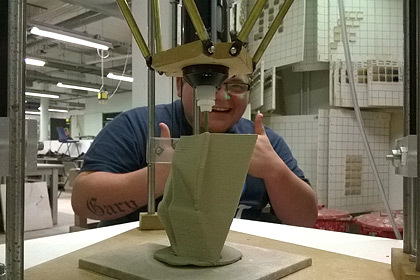 They have setting up a Ceramic + Digital program that combines electronic media with hand skills offering students the tools necessary for future opportunities in ceramics. 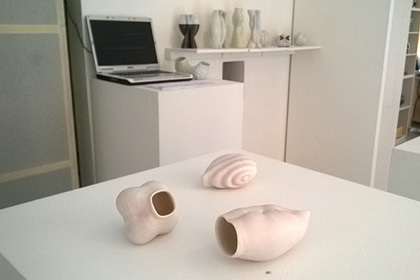 The department has made a JK ceramic 3D printer so I spent my time working with staff, students and some visiting ceramic artists to look at ways of working with digital media and then how to realise the outcomes using the ceramic printer. We were taken on a campus tour visiting the Facility for Arts Research (FAR) – my kind of habitat. Unfortunately some distant from the main arts buildings this is a fantastic resource. Shown around by Windham Graves it was explained that they have taken on the policy of adapting readily available equipment (as well as using mainstream 3D printers) rather than build kit. 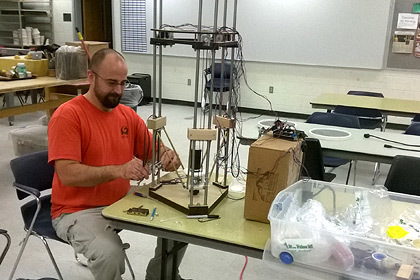 Windham has adapted a ShopBot CNC machine to work as a large scale 3D printer by adding a lowering printbed. Then by sourceing large scale plastic extruders from the pipe industry and concrete extruders from the building industry has been making on a large scale. An interesting facility that needs to be better incorporated into the main art department. 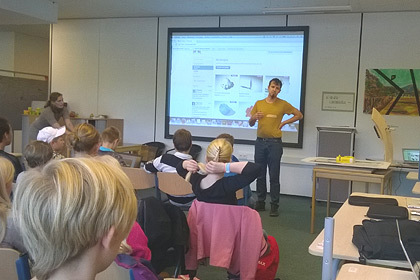 It was the turn of the German School Alstergymnasium Henstedt-Ulzburg near Hamburg to host the visit of the Comenius 3D print project. This EU funded project involving schools from Sweden, Germany, the Netherlands and the UK is a two year exchange program based around how 3D printing will aid 3D thinking in school education. Alexander Joly a designer from Hamburg, like myself has been coopted to advise on the more technical and conceptual aspects to the project. 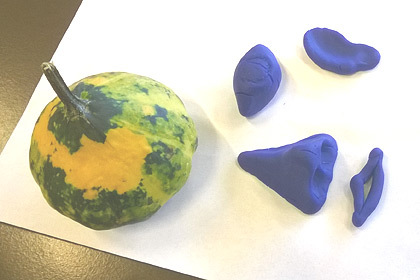 Alex had set up a task for the students that involve modeling facial features in putty that were then scanned along with a fruit so that in the Tinkercad software students would ‘boolen‘ or stick the elements together to give a solid 3D model that could then be printed – a great project. It introduced the use of 3D scanning that was new to the students. 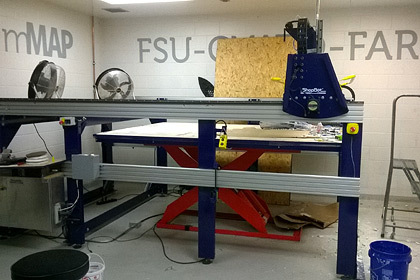 Alex used a 3D Systems Sense Scanner mounted on a jig that he had designed. After some initial setting up it worked well. Where I prefer to use the free 123D catch app the Sense Scanner quality was good but most impressive was the software that comes with the scanner. It looked particularly user friendly. 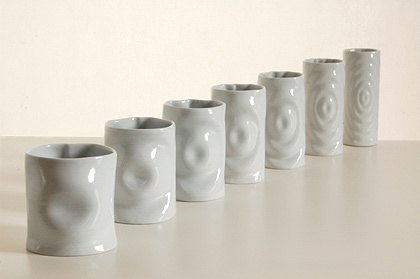 With her gallery Ann Linnemann is always keen to inform and educate the public about ceramics and enjoys curating shows around themes that interest her. This group exhibition looking at Nature in contemporary ceramic art included Jane Reumert, Heidi Hentze, Lis Biggas, Inge-Lise Koefoed from Denmark and myself from the UK. With this varied grouping of artist Ann was aiming to show how Nature has been of great inspiration and a theme for all times offering artists an infinite number of expressions, facets and angles. 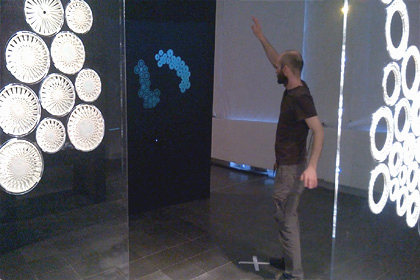 I gave a Gallery talk on the Saturday explaining how I am interested in the abstract patterns and systems that underlie nature and how computer code can be used to mimic these natural codes. Then how by generating my forms in computer code my desire is to explore mans long held fascinating in the relationship between Art, Science and Nature. 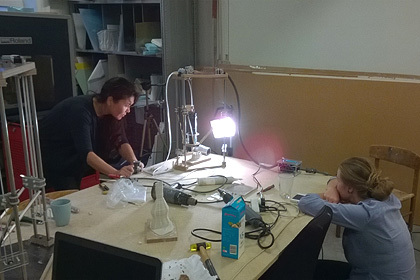 Invited by Associate Professor Karen Harsbo of the ‘Laboratory of Ceramics’, this visit was about helping to get their self built ceramic 3D printer established in the department. Built according to my online Delta design the machine was up a running when I arrived. As it is what artists might do with digital technologies and the ways of working that is of interests to me this was the perfect scenario. My time was then spent covering some technical issues but also offering insights into how I and others work with ceramic 3D printing and flagging up how to work with and combine different software packages and to introduce computer coding. I had traveled with my own printer so we had two machines running and could compare results. Always keen to learn new things myself we experimented with a very heavily grogged clay - grog is known as chamotte on the continent. We used my standard 2 mm nozzle so the grog was not vey coarse but with 45% grog in the clay it was easy to soften and mix. It extruded well and gave a lovely textured surface. At a layer slice of 0.5 mm the layers almost became invisible in the texture - photo right. As well as the workshop and talk that had been organised for me to do in Faenza I was to work with the WASProject on their stand during the Argilla Festival. Over the years I have kept an eye on the developments WASP have been making with ceramic 3D printing. 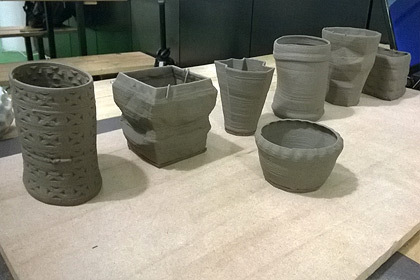 A prime ambition of WASP is to be able to print clay buildings so they have been concentrating on building large scale delta type 3D printers. 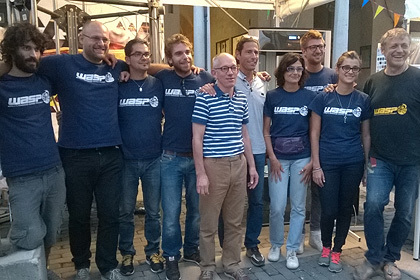 On arriving at Bologna airport we were taken to see the WASProject workshop in Massa Lombardo near Ravenna. A fascinating visit with interesting developments all over the place. Then during the fair we had a most enjoyable time working together, sharing ideas and seeing what their printers could do. 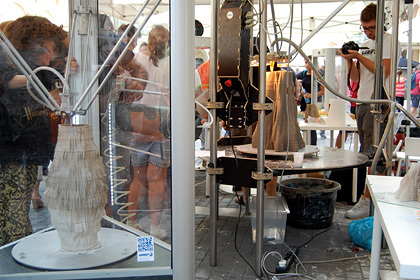 On their stand they had their small clay delta printer (20 x 20 cm build volume), the medium size delta (40 x 60 cm) and the large printer (50 x 70 cm). 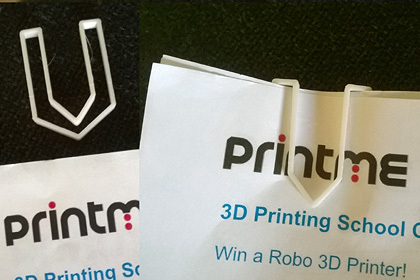 As well as a delta plastic 3D printer working and then a couple of other static machines. I was very impressed with the printers. They are well built, work beautifully and while some elements are still in development we got good results. I was sure we could manage large scale printing but what most impressed me was the print speed we managed to get out of the small machine. I slice my gcode at .6mm and set the printhead at 23 mm per second and this is the speed I print at with my self built machines. 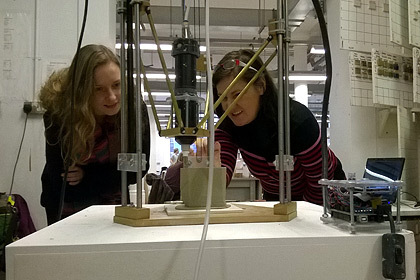 The WASP printer we turned up to see how it would do and at 200% it was still printing well – 46mm per second in clay! 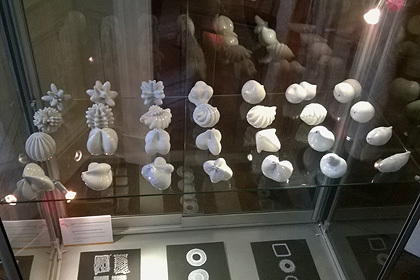 I was invited to Faenza to do a ceramic 3D printing workshop and then give a presentation of my work at the Museum of Ceramics. 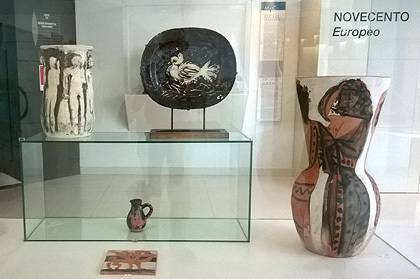 It was my first visit back to Faenza with my wife for nearly thirty years and I was remind what a unique town it is with its strong studio ceramic heritage, and my favorite Picasso vase - right. We were accommodated at the Museo Carlo Zauli and it was where the workshop took place - right below. 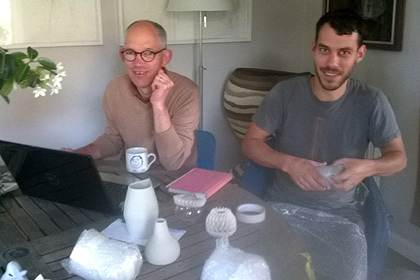 The Museums director Matteo who is the son of the ceramic artist Carlo Zauli is looking to develop and further support ceramic 3D printing so I do hope this might be the beginning of an ongoing relationship. The Argilla festival is amazing with over 250 ceramic artists showing work in street kiosk around the town and then with clay related activities running throughout the weekend. 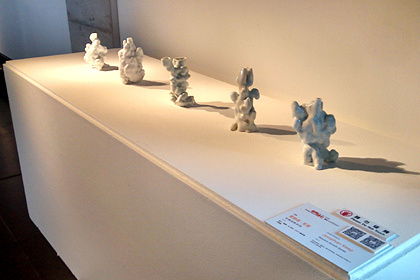 Centred around the International Museum of Ceramics there is a rich and very varied display of ceramics on show. The museum collection has recently been extended and covering both historic and contemporary work it is vast and not to be missed. 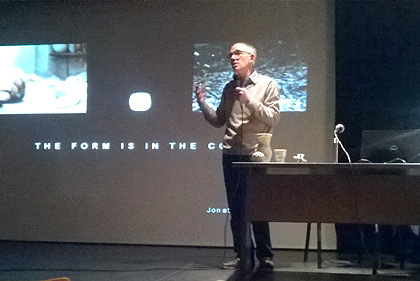 This two day conference at Falmouth University, Cornwall UK was organised by the Autonomatic Research Group and was themed around questions of how digital technology and techniques are being use in contemporary craft practice. The conference was well organised and most rewarding with good key note lectures, an interesting accompanying exhibition and a super enjoyable symposium dinner. Other presentations ran in three strands at other times so you always felt you were missing something but what I attended was well worth it. 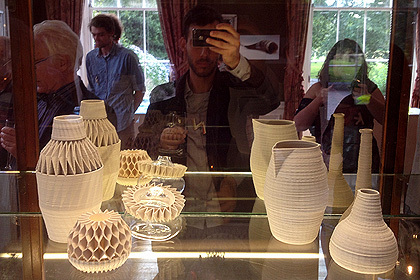 An added bonus was a sort of mini ceramic 3D printing conference within the larger conference with Dries Verbruggen of UNFOLD, Flemming Tevd from Danish Design School and Mathew Tyas from the Leach Pottery, who all presented papers. Bottom: Jonathan Keep, Seed Bed. Dries Verbruggen of UNFOLD visited for a couple of days from Antwerp before we both went on to the ‘All Makers Now’ symposium in Cornwall. Although Dries, Claire and I keep in regular contact we had not seen each other since I visited their studio in back in 2011 before I began 3D printing? This was the first time we had worked together and although we have different ways of generating digital forms and use different equipment fundamentally there was not much difference in the way we worked. I find this reassuring as there are no cleaver tricks or recipes or special pieces of equipment, we just work carefully and look to refine each stage of the process as we go along. 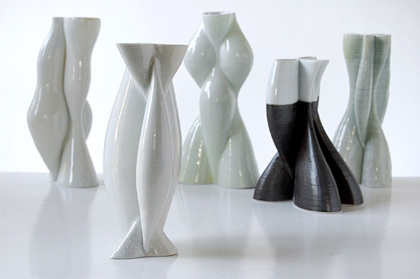 Dries Verbruggen and Claire Warnier of UNFOLD, the design due who pioneered extrusion ceramic 3D printing are co-editors to this timely and well researched and beautifully illustrated publication (buy) . It must be difficult to put such a publication together for as soon as you publish you know that in this fast moving world of new technologies there is going to be something you wished you had included. I am delighted to have had my work include in this book that highlights so much really interesting work. The first part very thoroughly covered many of the debates and issues currently concerning 3D printing followed by case studies. The third meeting of the 3D Print Schools Comenius project was hosted by Alde Valley High School here at Leiston Abbey in Suffolk. This was the first time students from the six schools, three Netherlands and one each from Sweden, Germany and us in the UK attended. 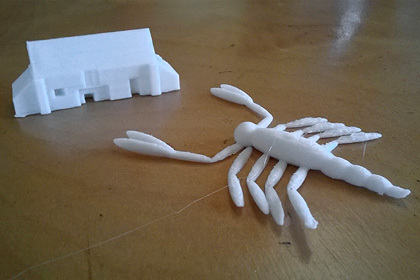 Interested to see how teachers might work with students and 3D printing a number of workshops were programmed. This was a Craft Council organised day with the stated aim to bring together the diverse viewpoints of weaving, knitting, live coding, dyadic mathematics, generative music and digital making, in order ‘to see how pattern sound and threads allows us to both sense the abstract and conceptualise the tactile’. This was my kind of day but I sat very quietly intimidated by the level of academic discourse and thinking how unlikely it would be for such an event to be organised around digital technology and ceramics in London. 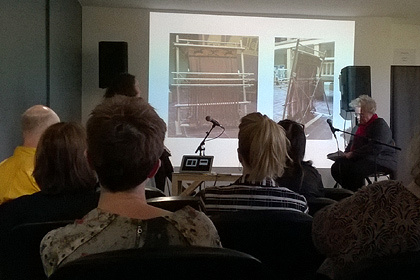 Presentations such as that by Ellen Harlizius-Klück (image right) who trained as an artist and mathematician argued how the tacit knowledge of ancient weaving and its technology must have influenced ideas of the digital through history. There is this interesting historic connection between textiles and digital technology with the Jacquard loom often being cited. I left only more convinced that ceramics is being very slow to see the new possibilities, or ways of working that digital technology can offer. 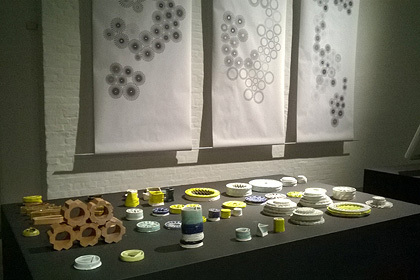 ‘Makers of Today’ showed the work of 20 artists from four countries and included textiles, glass, ceramic and jewellery. 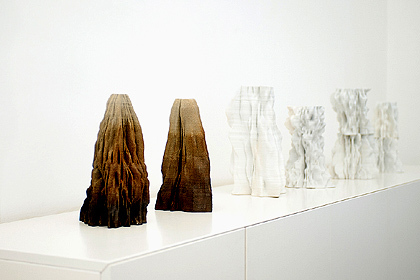 I showed digitally generated ceramic works – a group of Sound Surface vases, some Icebergs and the ‘Sine Wave Morphology’. (image right) To quote the galleries publicity, “every one of the artists has made a mark either nationally or/and internationally and is working in an experimenting way with their material and expression. With this exhibition Kunsthal Nord wishes to show art crafts of the very highest quality and that breaks with the traditional opinion of, what art crafts can be.” . Hosted by Professor Russell Jamison (top image) of the biomedical engineering school this was set up as a cross departmental visit sponsored by the VCU School of the Arts and School of Engineering and the Alice T and William H Goodwin Engineering Education Endowment. It was a fascinating visit for me as it was a chance to explore and discuss with others my interest in the relationship between Art and Science, and the opportunities for collaboration. I believe both art and science have the same social role and that is to offer a fuller understanding of or world. 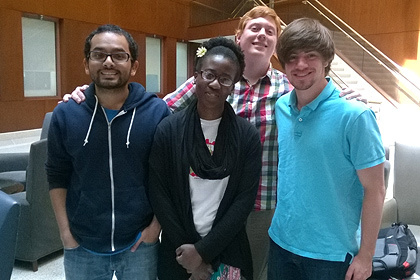 A full and rewarding program had been laid on that includes me presenting a seminar, meetings with faculty members, such as involved in tissue 3D printing and neuronal signal processing, MA Craft Materials Studies students and their final shows, and then other meetings that brought together the arts and science and then administrators. 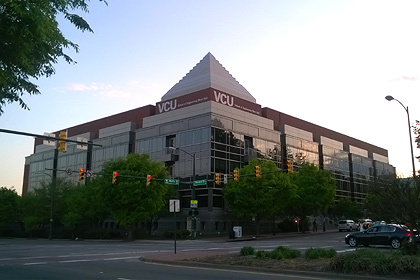 Students involved in the da Vinci Center, a collaboration of VCU’s Schools of the Arts, Business, Engineering and College of Humanities and Sciences are planning to build a Delta ceramic 3D printer. (lower middle image) I will be interested to see how this develops as the Center has the stated aim to ‘advance innovation and entrepreneurship through interdisciplinary collaboration’. 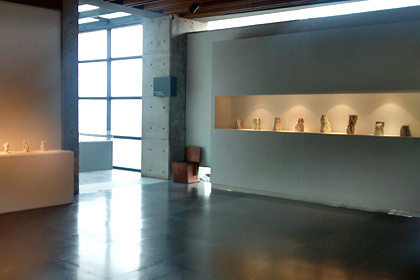 Entitled, ‘ New Earth, Critical Trends in Contemporary Ceramics', the exhibition was Curated by Wendy Gers. The TCB includes works and installations from 65 international artists, designers, architects and makers from over 30 countries. 1. Global identities: people, places & perspectives. 2. Sustainable futures: Shattered, upcycled & recycled ceramics. 4. 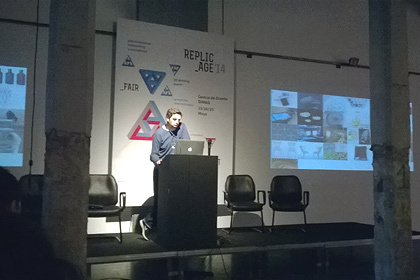 Cyber-ceramics & digital materialities. 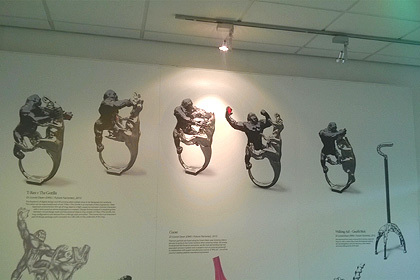 I had work included in the 3D printed strand (images right) that focused on artists and designers who are at the fore-front of this digital revolution. The other artist include were François Brument (France), Brian Peters (USA), Suzanne Trocme (UK) Unfold (Belgium). 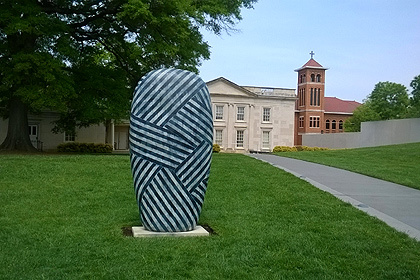 The Ceramic Biennial also included artists in residence, a three day international symposium and a Film Festival on Clay and Glass. Invited to present a lecture to the Design Craft BA course as part of the professional development element it was also an opportunity to demonstrate the ceramic printing. Having been an independent self employed artist all my career I am a strong believer in passing on and offering help and guidance to students whenever possible. Unfortunately very few graduates make the transition from study to setting up a long term viable artistic practice. Visiting De Montfort University also offers the chance to catch up with Lionel Dean. 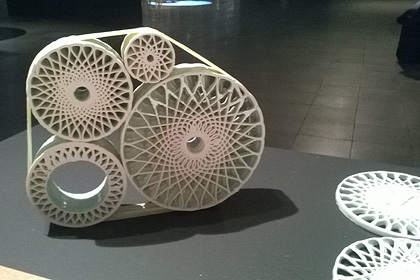 (image right) A senior lecturer in the school of design, Lionel has long been using 3D printing, and his studio website FutureFactories (founded in 2003) is well worth a look. His work spans art, craft and design disciplines and his early computational design methodologies became some of the first to question traditional definitions of digital creative practice. Passing through Copenhagen on my way to the International Ceramic Research Center I looked in at the Ann Linnemann Gallery firstly to talk through plans for my forthcoming exhibition in September but also to see the Bodil Manz exhibition. 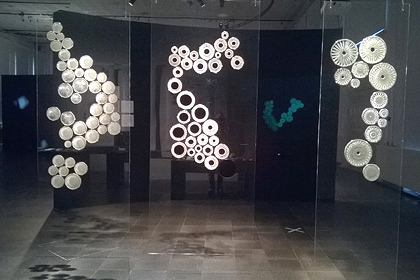 The exhibition (top image) had been curated as an ‘assemblage of ceramics in time and space’. I have always admired Manz’s manipulation and use of architectural type space, inside and out. It was also really interesting to see a show of work juxtaposing groups of work from different time periods. As always it was great to be in Skælskør and at the ICRC, Guldagergaard again. (lower image) The workshop, like the one last autumn offered tuition in 3D computer modeling using the open source Blender software. 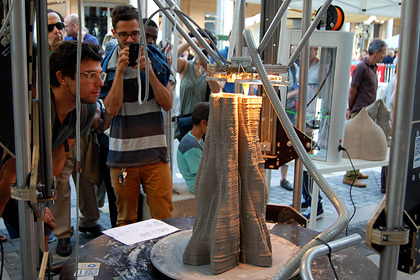 Participants then learn how to take their 3D digital files and print them into physical clay objects using the delta ceramic 3D printer that is permanently available at the research center. This is the one place that I know of where you can do an artist residency and have access to this equipment.